It’s summer party time! Whenever the weather’s perfect, I get a crazy itch to throw a patio party ASAP. I quickly send out an Evite, but then as soon as the RSVPs roll in, the pressure sinks in when I realize that I have to plan the whole thing all the while trying to keep up on my everyday life. By the time I’ve squeezed out the basics for the party (cleaning the house so it doesn’t look like a tornado hit it…thanks kids, plus making sure there’s enough food and drink to keep it festive), decorating for it becomes a total afterthought. Creating a festive space that saves on time is exactly what I need in my life. Today I’m sharing seven summer party shortcuts that I always employ to shortcut my way to a festive outdoor party in no time flat. Kill two birds with one stone with this easy summer drink update. Instead of carrying a huge bag of ice home, opt for frozen berries to stand in as ice cubes. 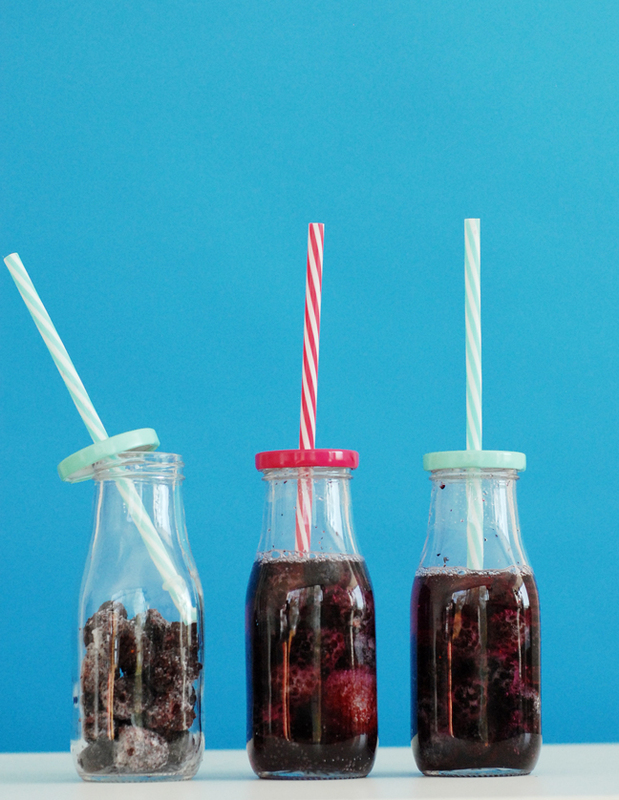 The frozen berries cool down drinks quickly and make any drink from sparkling water to lemonade (even champagne!) more festive and tastier instantly. Keeping the deck lights low and fresh can transform any table into a barbecue-ready spread. 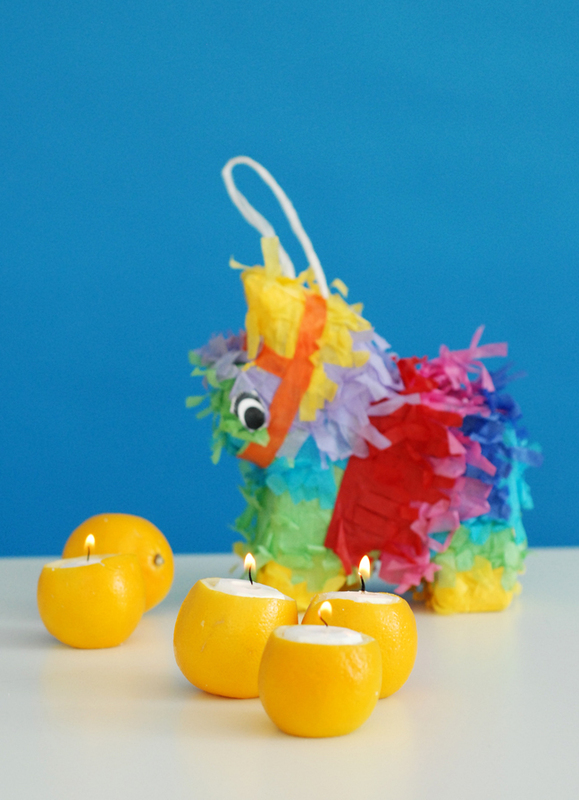 Using fruits as candles is an easy and fun time saver to create a glow that is perfect for summer outdoor parties. Core out the lemons (you could also use apples, oranges, etc.) and place a small tealight inside each one. The fresh smell of the fruit and the easy glow of the candles will create a summer party vibe you’ll adore. Grabbing and sipping from someone’s drink that is not yours is never a good idea. 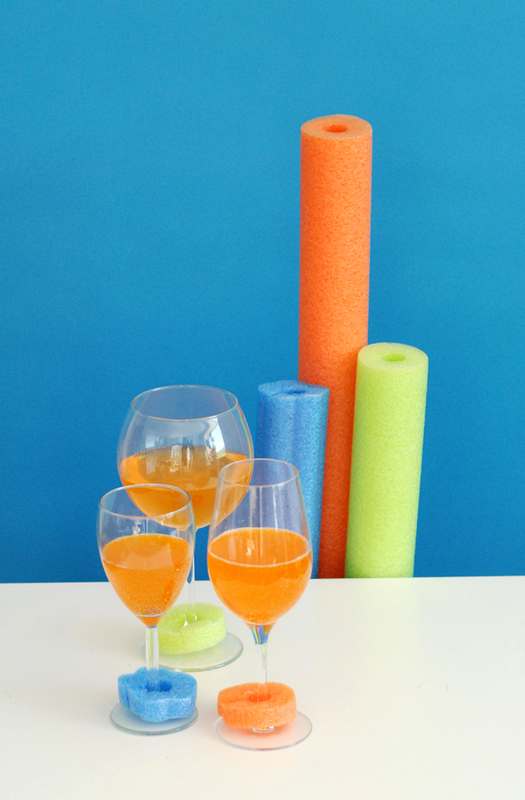 Keep all drinks brightly marked using pool noodles. Simply cut off about an inch of the end of a noodle and make a slit in the side to slide onto wine glasses and keep your guests’ lip marks to themselves. Finding the right size tablecloths for all the extra party tables you pull out can be quite a challenge. 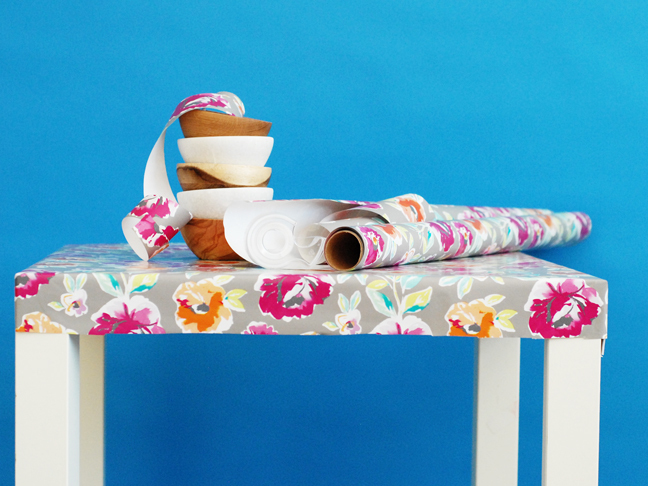 Skip the endless searching at big box stores and instead pick up a couple rolls of pretty wrapping paper. A little double sided tape is all that is needed to cover tables in party style and get the perfect fit. The best part is after the party you can just roll the tablecloth up and toss it out. No extra cleaning time needed. Serving salads can be the messiest part of a party spread, and creating a great dressing can take forever. Serve up a fresh side that is easy on everyone by using bread bowls to serve the salads in and tossing them with our favorite new Hidden Valley Ranch Dressings. 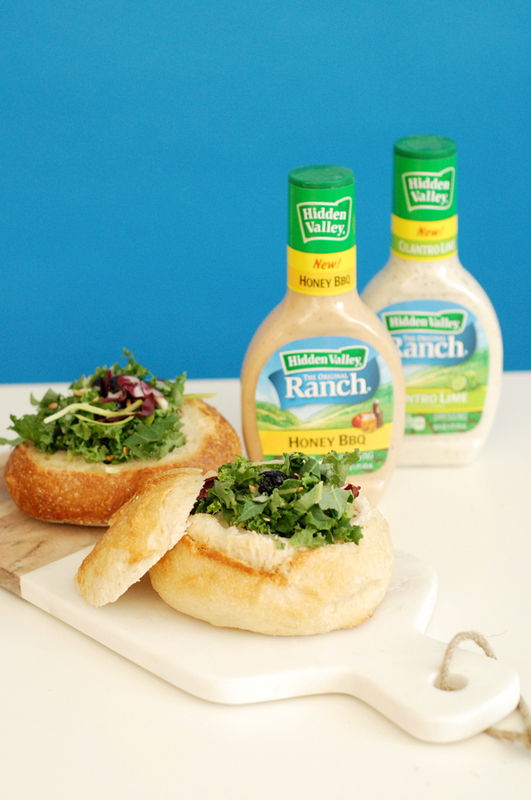 Both Hidden Valley Honey BBQ Ranch Dressing and Hidden Valley Cilantro Lime Ranch Dressing taste amazing with a mixed green salad and create a great time-saving party side. 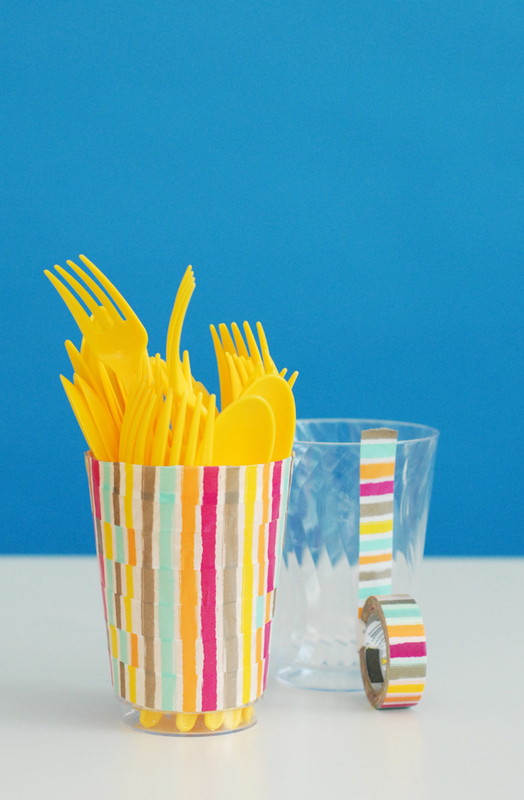 Holding utensils in pretty containers is a staple for summer parties outdoors. Create you own holder by covering a cut down water bottle or simple plastic cup with washi tape. The holders create a major design impact for your party table and only take about two minutes to create, leaving plenty of time to prep your famous dessert. 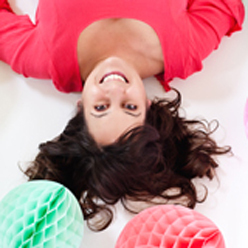 For your next party, in place of seating cards, try balloons. 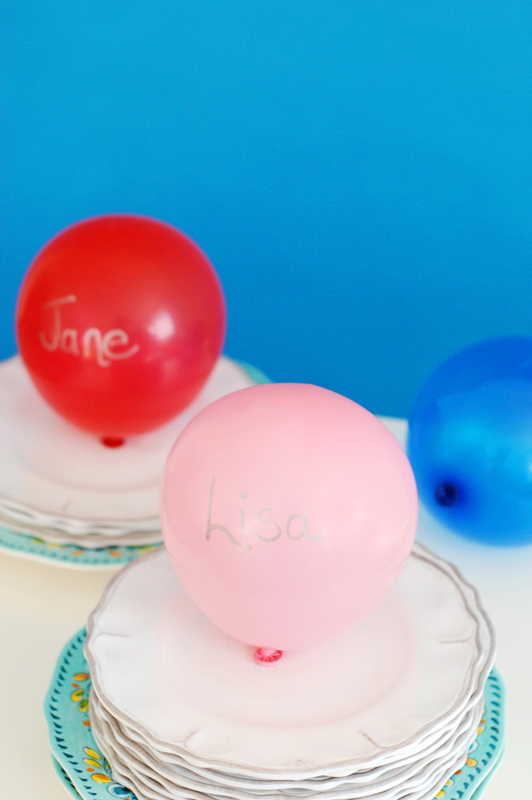 Buy a pack of bright and colorful balloons and use a Sharpie to write in guests’ names. A little tape secures them to the plate or table, and they make a huge impact without costing more than a few cents. The look quickly turns a table into a party and gives the kids something fun to play with when the party meal is through. What are your favorite time-saving tips to make parties great?